Eph 2:19-22 You're no longer foreigners but fellow citizens with the members of the household of God, built upon the foundation of Apostles and prophets, with Christ as capstone, who holds the structure together and who builds you into a dwelling place of God. Ps 117:1bc, 2 "Go out to all the world and tell the Good News." Praise the Lord for his kindness and fidelity! *See yesterday for how to hear these. Creighton: We, like Thomas, want self-assuring experiences, but doubting is part of believing. See FAQ. Passionist: People call him "doubting Thomas," but he professed great faith. Jesus invited him with, "Peace be with you." I have doubts about how God could use me, but God can use us all. Jesus, show me the truth. If we believe "we're being built into a dwelling place for God," we can "go out to all the world and tell the good news," changing the world with God's crazy love. 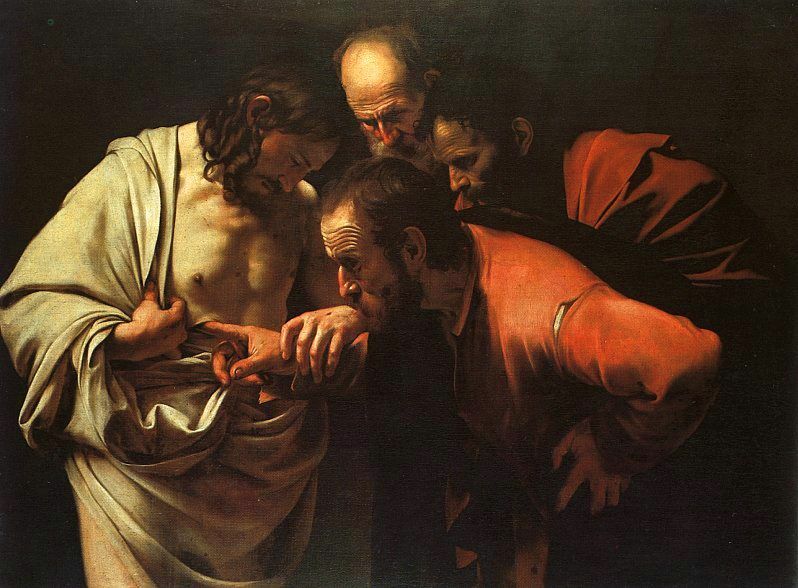 Universalis: St. Thomas, first apostle to call Jesus God.